Recently I’ve found myself in one of those awkward situations in which I’m unsure of the wisdom of telling the truth – of saying to a certain individual – the words burning in my throat. While I’ve been telling myself that its best to show restraint, I’ve come to suspect it’s only fear that makes it easier to say nothing. But the real problem is this; stranded between my choice of cowardly silence and the desire to give voice, I’ve become stuck, unable to fully commit to either – or any – course of action. 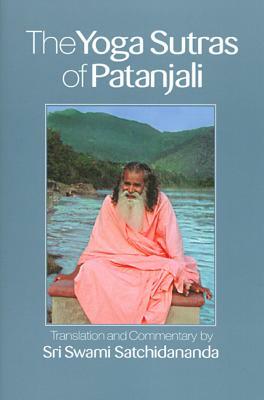 This has got me thinking a lot about Patanjali (the revered medieval sage of yoga) and his Sutra on the meaning – and ramifications – of truthfulness. Especially, his teaching that truth (satya) is about much more than just abstaining from lying, it about the finding the courage to ‘speak’, even if difficult or painful. This is necessary because words in themselves are talismanic forces that shape reality and call the world into being. We must be established in truthfulness, not just to increase our moral virtue, but to increase our power to achieve what we want – even our destiny – in the world. While this idea seems like magical thinking to us now, for Patanjali, it was a fundamental precept. And it made satya – one of the most powerful forms of yoga we could practice. Satchidananda reminds us that while telling the truth (and reaping its benefits) may sound easy in theory, it’s actually hard work. It isn’t about blurting out the first reactive words that arise, its about taking time to discern the emotions behind them. This requires a great deal of inner contemplation because truthfulness can only achieved by an “absolutely honest mind”. We must be honest with ourselves first (about our true feelings, desires and motivations) before we can be honest with others. So I have had to admit, in terms of my personal situation, the real reason I’m biting my tongue isn’t discretion. It’s just fear. I am fearful of the ‘actions and their results” that my words will bring. Because then I might hear things I don’t want to know, my ego may get a bruising, I could get hurt. But most of all I’m afraid because the words that arise in me, demanding to be voiced and heard, are demanding that I grow, move into the future. They have the power to change my world – simply by being spoken. Being afraid of the future is no way to live. So I have decided with Patanjali’s guidance, to engage in the long arduous process of finding-and then hopefully telling the truth. I recognize that truth is subjective, that my truth will be different from yours, but I must move past my fear of hearing your ‘truth’ in order to tell mine. I must find the courage to go forward. I must become aware of what I am truly thinking and feeling, step back from ego and fear, to find the true voice of my heart. Patanjali reassures me that “With the establishment in honesty, the state of fearlessness comes”. And so I make a leap of faith in his words. I resolve to tell you my truth as bravely and consciously as I can, in full understanding that my words are incantations that create the world, speaking us into the future. Love this, Danielle. You raise some wonderful points on how important it is to speak one’s truth, and also that sometimes the biggest fear about doing so is moving past the fear of hearing someone else’s in return. I think we all struggle with truth-telling because the truth is slippery. As you point out, what may be the truth to oneself is only so within in the context of one’s own reality – the fibres of history, biology, culture and experience that set our place and ourselves in the world. Even when I think I know the truth, before I move to speak, I try to remember to ask myself these three questions – Is it true (for them)? Is it kind? Is it necessary? I hope, in this way, that my choice to not speak is more about grace than fear. I agree with you – our ‘truth’ is so colored by our habits, memories and emotions. It is more about clarifying what that truth is and then asking those questions before we ‘speak our truth’. All is truth, even lies, they are bend truth, but part of re-al-li-ty, as all, the light and the dark, happiness and suffering, day and night… the curtain of duality, once the curtain is lifted there is no good, no bad, nor up or down, no high and low, no “me” and “I” no more. Spirit expanded endlessly into eternity, no more questionsasked, mindcameto rest – listen to the sound of silence…… om! Thanks for the great reading. 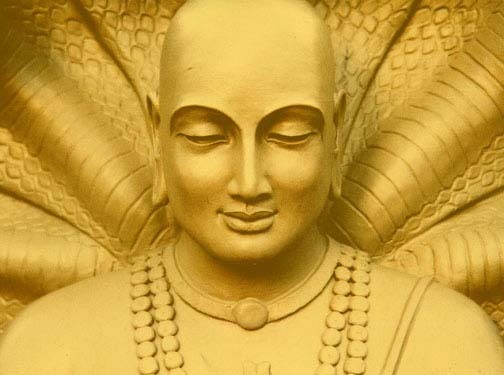 I’ve always associated satya more with truthfulness with the self than truthfulness with others because, as I think you discovered, when you’re truthful with yourself, truthfulness evolves naturally with others (and it comes from a place of clarity and honest motivations, rather than ego).